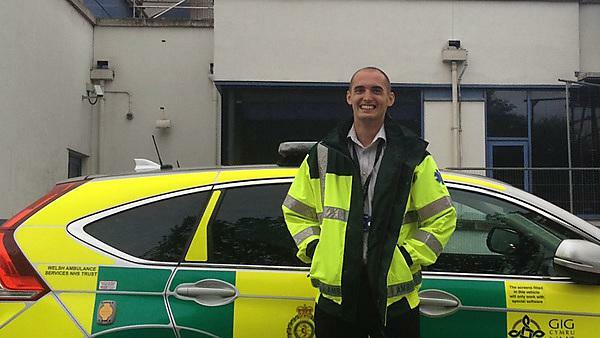 "The nine month clinical placement provides a real insight into working life in the emergency department." “As a medical student aspiring for a career in paediatric emergency medicine the intercalated BSc (Hons) Urgent and Emergency Care has been hugely valuable! The nine month clinical placement provides a real insight into working life in the emergency department. There is flexibility to see patients in all areas of the department including paediatrics and ‘resus’. As I gained more experience throughout the year, I was able to tailor my clinical exposure to high acuity ‘resus’ cases and paediatric cases. Having expressed an early interest in pre-hospital emergency medicine (PHEM), I was able to get an honorary observer contract with the Welsh Ambulance Service (WAST). This allowed me to undertake a number of shifts with paramedics and PHEM consultants gaining insight into the challenges clinicians face in the pre-hospital environment. I was also able to undertake regular shifts on the Rapid Response Resuscitation Unit (3RU) which is a cardiac arrest car operating in Cardiff and the Vale. In addition to developing your competency as a future clinician you are also able to develop your academic ability. Teaching supports practical learning in the department and if you are proactive there are opportunities to become involved with research and audit. An audit that I conducted into paediatric burn referrals complimented my clinical exposure. It led to me spending time at the Welsh Burns Centre in Swansea in order to revise our department’s burns proforma. I was also able to become involved in conducting paediatric research and writing a case report. Immersing yourself in academia is not just intellectually rewarding, but also helps when it comes to the dreaded FPAS applications!